You may have seen that many streamers do game giveaways on stream when they get codes from game developers. Usually the style is, that you are streaming the game and giving away the code on that stream. For CS:GO giveaways it’s becoming a norm for the partnered streamers that they giveaway CS:GO skins after every game. For smaller streamers this isn’t really an option though, since the skins are pretty prizy. What i mean about big thing. Is that when you don’t regularly giveaway huge prizes you can make something like 20$ Steam gift card giveaway a thing for you. And instead of just getting Twitch Followers, we are going to offer people options where they can enter the competition. In multiple places by following you on Social Media channels like Facebook, Twitter, Steam Group and maybe even YouTube if you are a Youtuber. How this Triples your followers? Bad thing about doing giveaways just in stream. Is that most likely not everyone of your viewers are there at that point, when a giveaway is happening. If you haven’t already promoted the stream quite a lot. 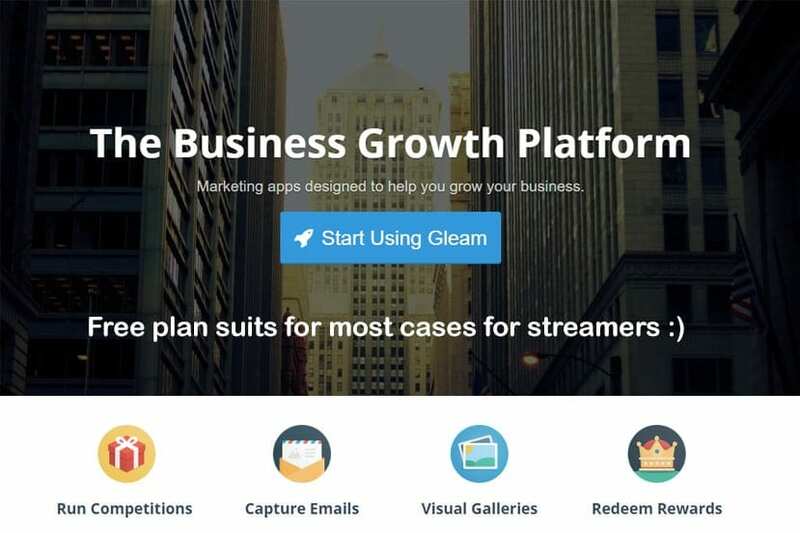 We can use a tool called Gleam.io to create this giveaway and you can get easily by with Free features that it offers. If you want to have custom thumbnails etc. They are included with the monthly fee but they are totally optional. If i would be running this giveaway for my stream. I would most likely do these kinds of giveaways monthly or 2 times a month. If you are doing multiple giveaways, i would suggest you to make this one the absolute best giveaway so people are more interested in it and you get more visibility. When you create the giveaway with Gleam.io you also get a page for it. 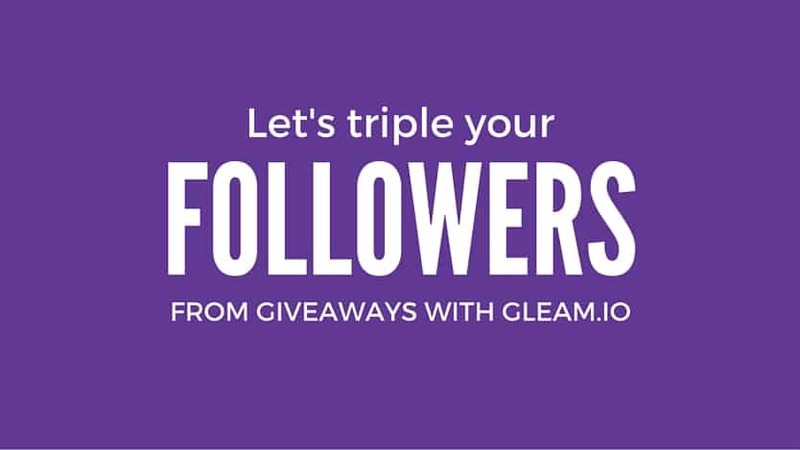 Mine is here: https://gleam.io/aQjSp/super-awesome-giveaway this is rather long link for Twitter usage. So i would open up Bitly.com that let’s me shorten it for this: http://bit.ly/1TdKleU this is much shorter and better to use for Social Media stuff. You also get stats inside Bitly.com witch shows you how many people have clicked the link. Usually there is quite a lot of space left at the end of your title. Witch is a perfect place for you to promote some latest giveaway, Twitter, Facebook, latest Youtube video etc. Basically everything that is important for you to show for your viewers. Good thing to know: You may need to re-save the title couple times to get the link clickable for the title. Sometimes it works straight up but sometimes the link doesn’t actually become clickable so 2-3 times re-saving the exact same title helps. Step 3: Promote the giveaway in websites etc. You may have already seen that some of the most popular places where you could get new viewers have set a rule that you can’t post your stream there. For example CS:GO Reddit is one of these places and they have thousands of users that could be interested about your content but since you can’t post your stream there how to tap into this place? If you look at the rules it says that giveaways are allowed if you ask moderators first. So what i would do is create the giveaway and pm the moderators if it’s okay to post the giveaway? When the actual entrants for the giveaway are following your content you might tap into some sweet spot of new viewers. There is many other places of source and your niche differs most likely from the CS:GO part. It’s up to you to find the good gaming communities that fit your game and style. For example you could let people know your giveaways in United Streamers website. Credits and +1 rep: For Ziovo about the awesome video! Information about the series: This post is part of the series: How to stream on Twitch and how to setup the stream and do all the nitty gritty things. I hope these tips help you on the way to success! ?